One trend that never seems to go out of style? Metallics. 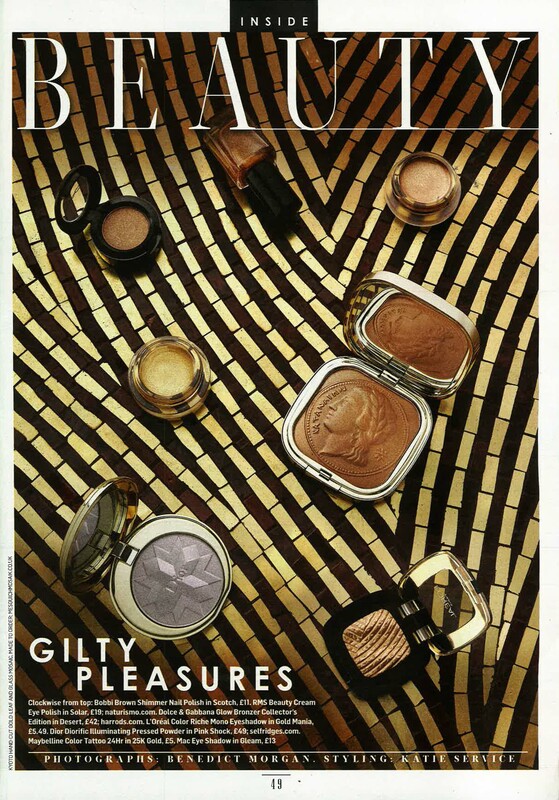 The Sunday Times Style features this classic with their top picks for the perfect bronzed hue. RMS Beauty eye polish in Solar is the ideal gilded shimmer for sultry lids. Apply by “polishing” the creamy shadow into the lid to build the color. Contour with Karma for a metallic smoky eye. Brush into eyebrows for a subtle hint of gold. Make your own twist to the trend!